Matanzima and Nelson Mandela attended the University of Fort Hare together, but they disagreed politically, and that caused tension between them. 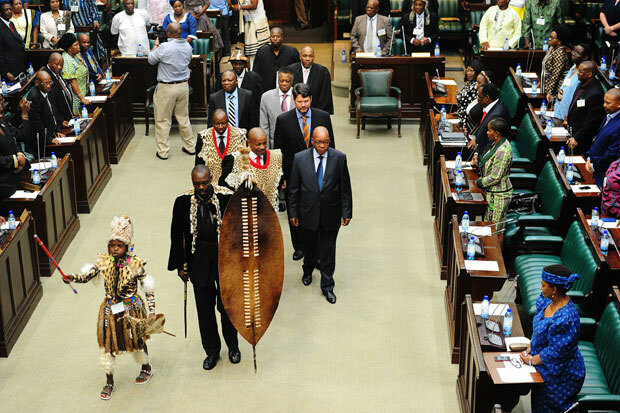 A large number of traditional leaders in the Eastern Cape and around the country are expected to converge and commemorate the late former Transkei homeland president and founder of Transkei statehood, paramount chief Kaiser Matanzima, at his Qamata home in Cofimvaba this week. Matanzima, who was the first leader to accept the despised homeland system and its apartheid-imposed independence, is a relative of the late Nelson Mandela, the late King Sabata Dalindyebo and his currently imprisoned son, King Buyelekhaya Dalindyebo. Transkei was the first homeland to be granted independence on October 26, 1976, a few months after the Soweto Uprising. Matanzima and Mandela attended the University of Fort Hare together, but they disagreed politically, and that caused tension between them. But the two had reconciled after Mandela was released from jail, and they frequently visited each other when Mandela was the South African president. He died on his 88th birthday on June 15, 2003. The commemoration is scheduled for Thursday at the Qamata Great Place in Cofimvaba. At least 10 cows are expected to be slaughtered at the event as part of the abaThembu tradition for their traditional leaders. Matanzima was the paramount chief of the Western Thembuland before the kingdom was incorporated into the Dalindyebo at Bumbane Great Place by the ANC’s democratic government under President Jacob Zuma. “The purpose of the day is to remember him for what he did and sacrifice to the nation and Thembus in particular. There were good things which may be taken or followed as lessons learnt. For example in the agricultural field, education, trade and commerce as well as leadership, including chieftaincy. The family acknowledges he may not have been an angel, but that was an era of reconciliation,” a family statement said yesterday. The event, which starts on Thursday, will be preceded by an interdenominational prayer and a book launch that traces Matanzima’s family tree on Wednesday, June 14. On the day of the main event on June 15, a mini-marathon will be held, starting from eHesini to the Qamata Great Place, starting at 7am. Speakers invited to the main traditional event include include Eastern Cape Premier Phumulo Masualle, a representative from the Eastern Cape house of traditional leaders, Nomvalo, member of the Eastern Cape legislature Max Mhlati and Sukude Matoti. The event is also expected to be attended by large number of traditional leaders, executive mayors, MPs, MPLs, councillors, headmen, representatives of political parties and people in general.